The mDesign Kitchen Pantry Organizing Wire Basket is the perfect way to keep your cupboards, pantry or counter in order! 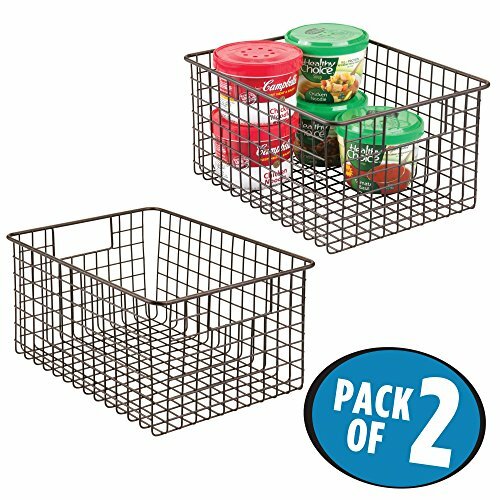 These wire baskets hold all of your snacks, cans, cooking oils and vinegar in one convenient location. Keep pastas, olive oil, spices and cookies organized and visible to avoid losing stray food. These steel wire frames and built-in handles can hold heavy loads and make organizing the pantry quick and easy. DIMENSIONS: Each basket measures 12" x 9" x 6"